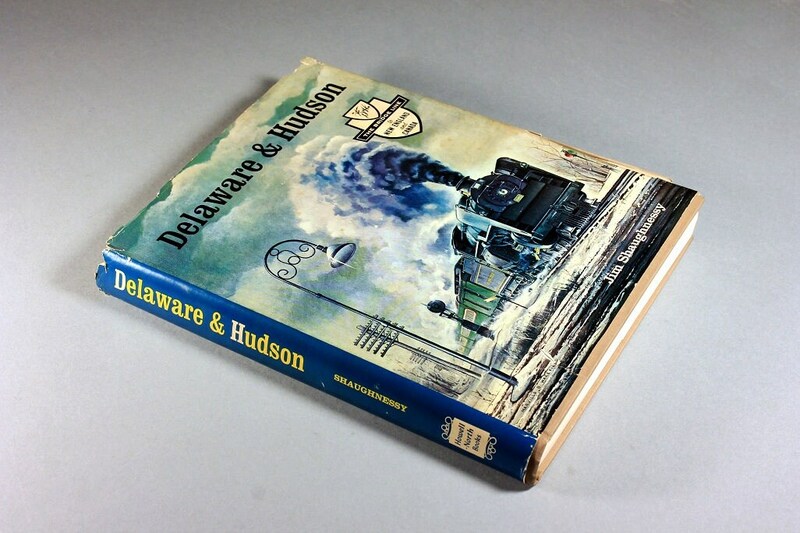 A 1967 hardcover book titled Delaware & Hudson The D&H The Bridge Line to New England and Canada, by Jim Shaughnessy. 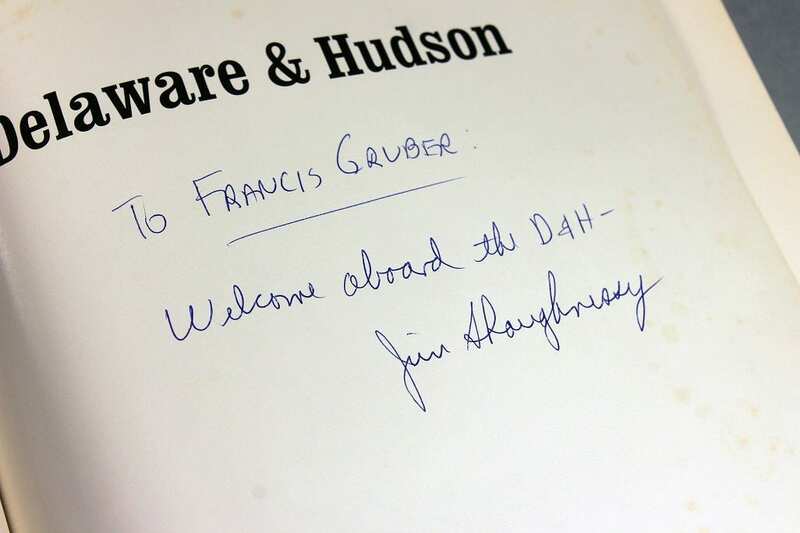 Here, in a pictorial history, Jim Shaughnessy turns a photographer's eye to the Delaware & Hudson (D&H). This railroad line began in 1823 as a canal system to transport Pennsylvania coal to New York State. 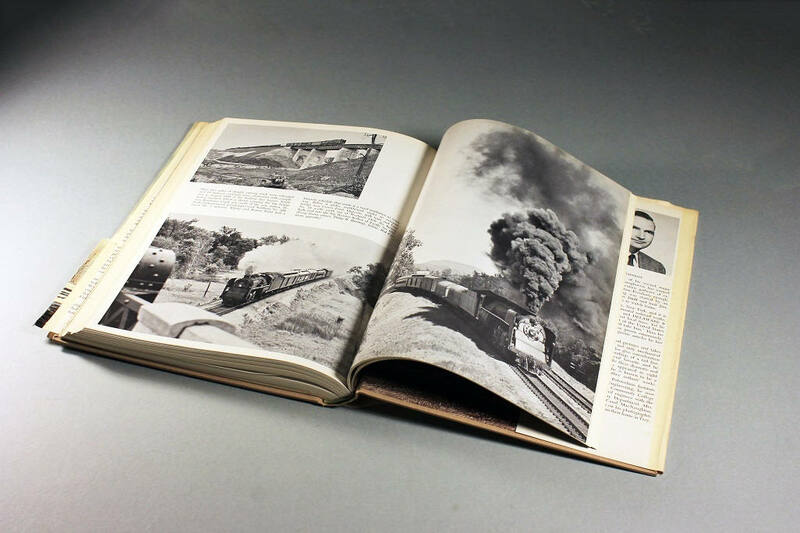 It remained active for 170 years until the route was sold to the Canadian Pacific Railway Corporation in 1993. 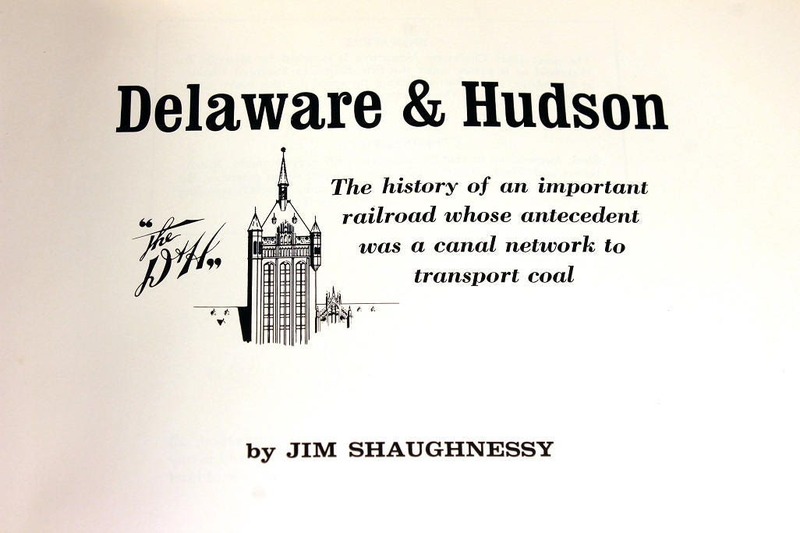 The Delaware and Hudson extended from Montreal to the coal fields of northeastern Pennsylvania. The line made early railroad fame by importing from England the famous Stourbridge Lion the first steam locomotive in America. 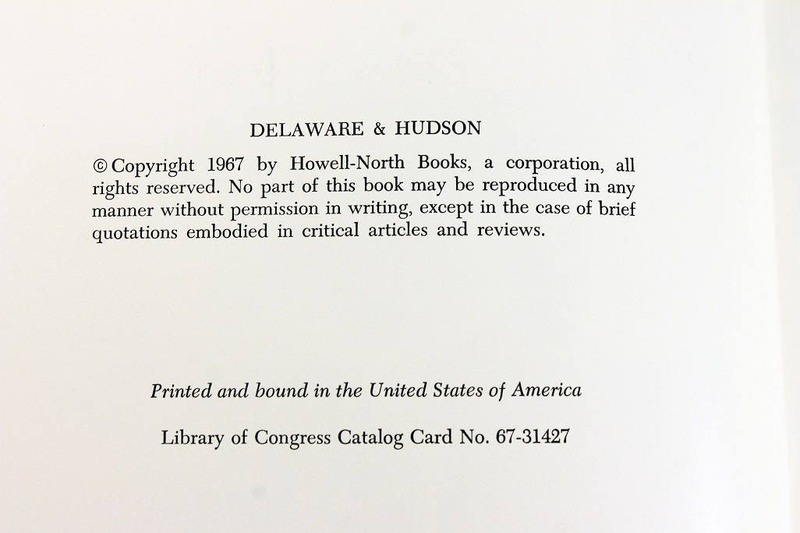 The D&H advertised itself as "the Bridge Line to New England and Canada." 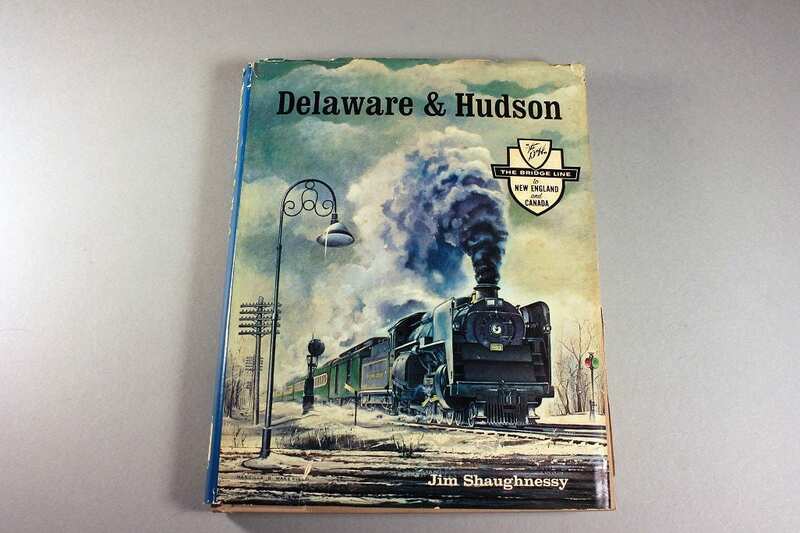 The Delaware & Hudson is an all-encompassing account of its 144-year history, which includes the mining in the region as well as the steamboat operations along Lake George and Lake Champlain. 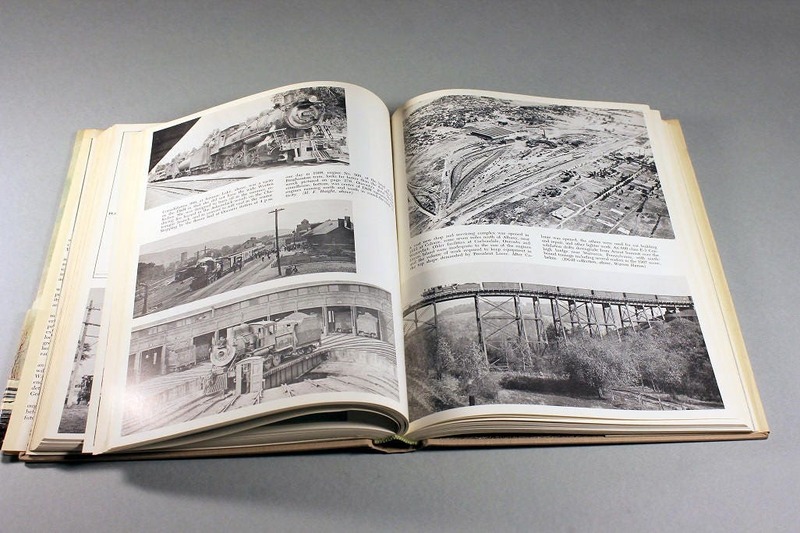 Jim Shaughnessy incorporates over 600 photographs and illustrations, maps, and timetables. This book is a Signed First Edition. Jim Shaughnessy is a retired civil engineer and photographer. 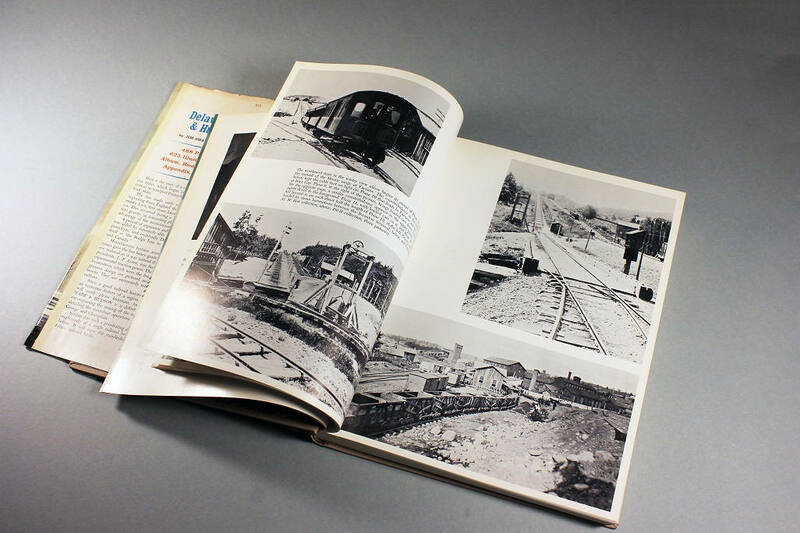 He is the author of several books on the railway industry. This book is in Very Good condition. 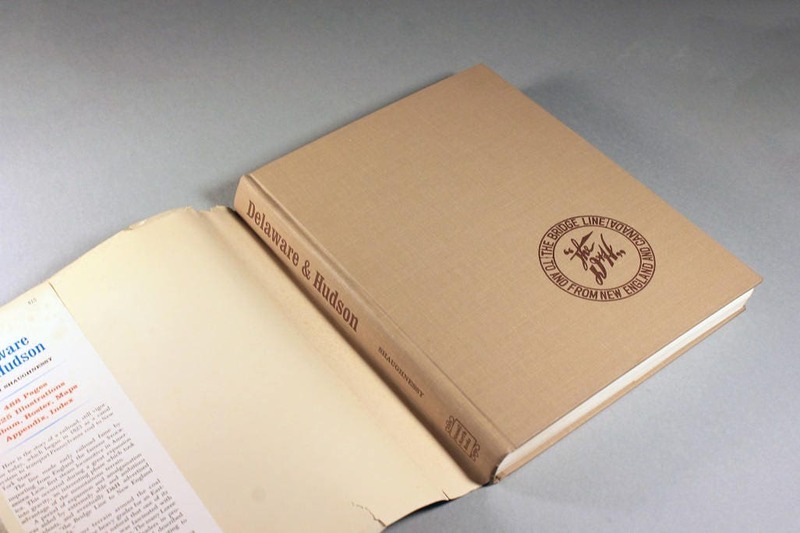 The dust cover has a rip along the front edge flap and some small rips and tears. 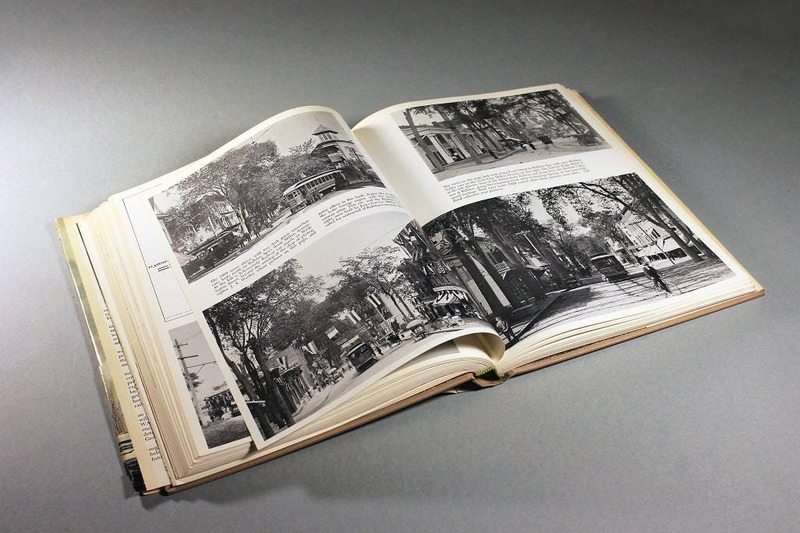 The book has some yellowing from age along the page edges but the pages are crisp and clean. See photos for the Author's signature.